Hetti Perkins, Art + soul: a journey into the world of Aboriginal art , 'Bitter + Sweet', pg. 174-239, Carlton, 2010, 188, 190, 191-192 (colour illus. ), 269, 281. 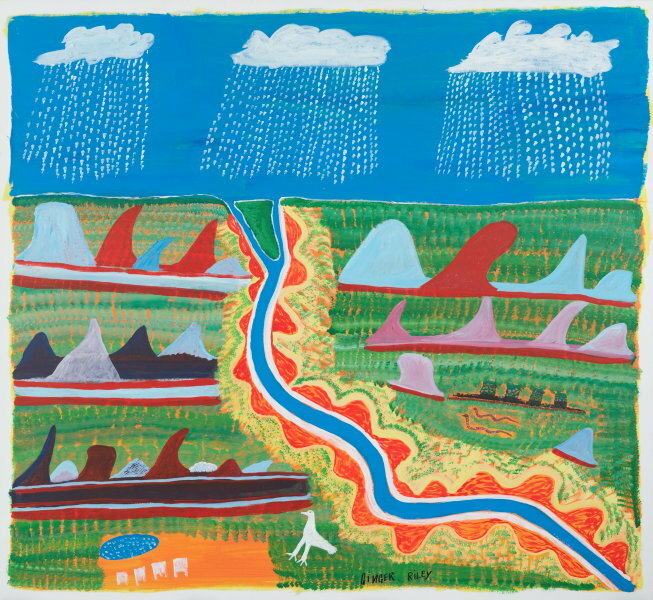 Wayne Tunnicliff, Tradition today: Indigenous art in Australia , 'Ginger Riley Munduwalawa', pg. 94, Sydney, 2004, 94, 95 (colour illus.). The fourth National Indigenous Heritage Art Award: the art of place , Canberra, 1998, 37 (colour illus.). Ginger Riley , Melbourne, 1997, 11, 101. Page 11 shows the artist painting the work.